ISF Editor is Mac application that lets you select between a whole number of image filters and apply the to your camera feed or Syphon source. The result is published as a Syphon feed. The filters are actually shader code, and you can import from shadertoy.com or edit directly in this app. I have modified ISF Editor to take in OSC signals so that it can be controlled from outside. This is handy for live visual performance. 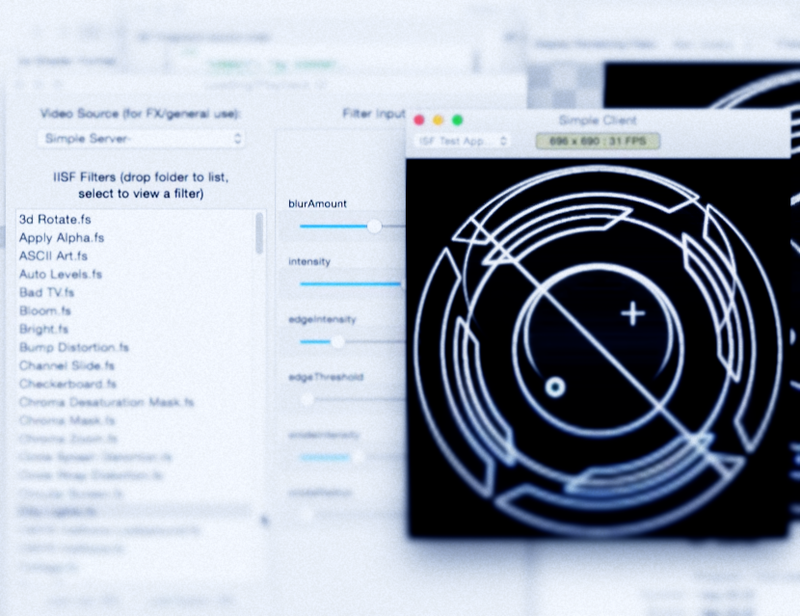 Any OSC device or app can be the source but it plays nicely together with the Mac app Vezer. Please be aware that I did not create the app myself. I merely modified the original version, which was developed by Vidvox.